Spring is here! 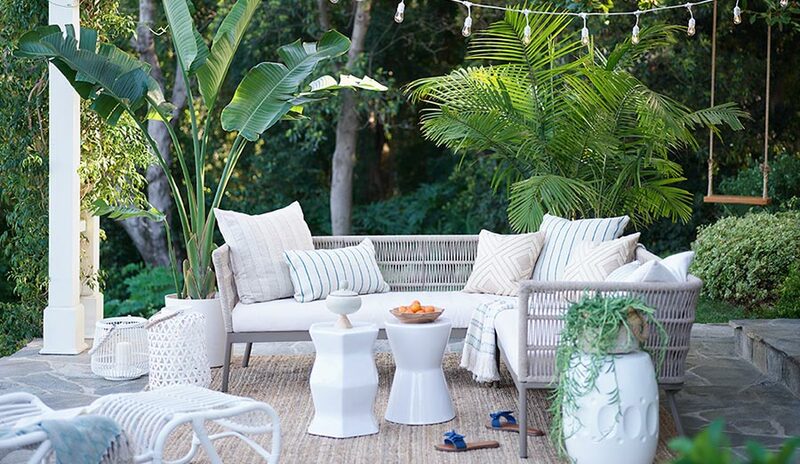 To help you get your patio and garden areas ready for spring and summer—from patio furniture to grills, pools and lawn and garden care—we've put together a top 10 list of the essential items to help you prep your entire outdoor space. After a long winter, you’re probably eager to get your patio, garden and pool areas ready for the spring and summer seasons. With so many ideas and products available, we’ve done the prep work for you and put together a top 10 list of the essential items to help you prep your entire outdoor space. Our picks, which feature everything from patio furniture and grills, to pools and lawn and garden care, are not only our best sellers, but also top rated by customers for their quality and affordable pricing. Having a comfortable seating area for your family and friends is essential for entertaining all season long. The entire MoDRN line is exclusive to Walmart, and we love this set of wicker furniture. This patio selection is made of all-weather wicker, making it sturdy enough to stand up to the elements while adding modern decor to your patio. The beauty of outdoor living is the opportunity to relax, enjoy nature and even feel like you’ve escaped for a while. Hammocks are the perfect space to revel in some quiet time. This hammock is easy to put together, and you don’t need to have a tree to hang it on since it has its own stand. That makes it a versatile choice since you can put it anywhere—on your deck, in your yard or even indoors. Enjoying some sunshine outdoors is great, but sitting around a fire in the cooler evenings under the stars is divine. Firepits turn your yard into a cozy campground. 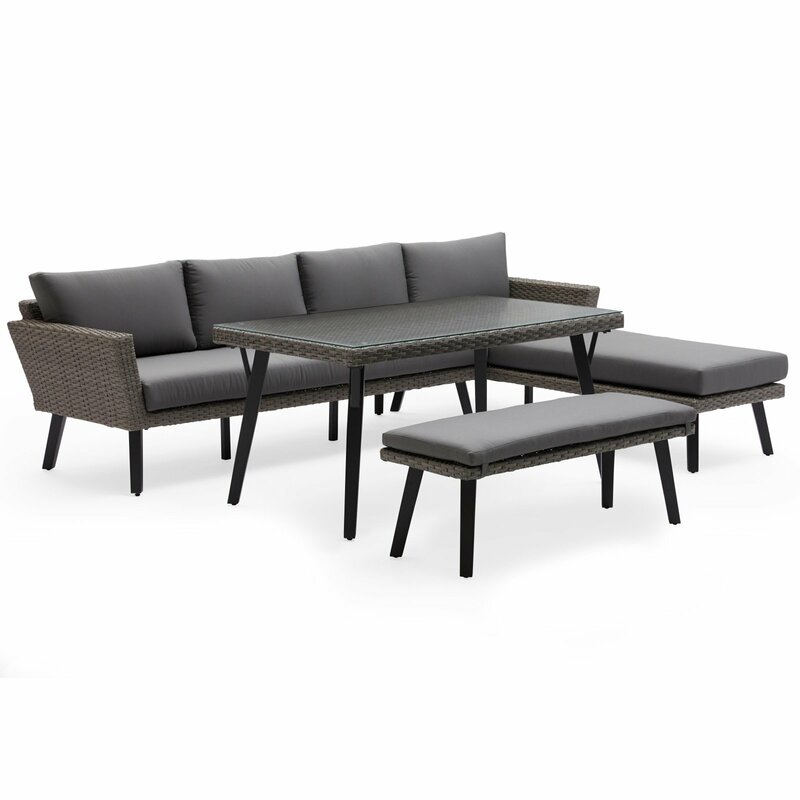 In addition to its wicker style that corresponds perfectly with your patio furniture, the Colebrook is also safe to use. The electric igniter and gas-powered pit provides a clean, smokeless warmth. In other words, no messing around with matches or smoldering firewood. Every great yard needs at its center a top-notch grill for backyard cookouts, impromptu dining al fresco, and kebabs and s’mores galore. 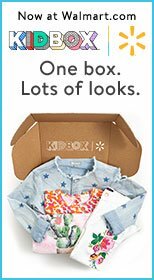 This best-selling choice with hundreds of customer reviews earns an average of 4.5 stars. It runs on wood pellets, which allows for perfect temperature control (you’ll never burn another burger! ), and a delicious taste. Friends will be impressed by your seared selections, grilled delicacies and BBQ pit master-like menus. If you have a home chef who loves to do some “low and slow” cooking, a quality electric smoker can take their game to the next level. This smoker is designed to let you set up your food and then monitor it until it reaches perfection. It has a viewing window, a door thermometer and a meat thermometer, and you can load wood chips from the outside. In other words, no fussing around with heat and smoke levels, but you’ll still get a perfect meal every time. If you have the space, adding an aquatic element to your backyard living area is a nice touch, especially if you have kids. Another Walmart exclusive, we chose this model for its easy setup, durability and affordability. Not everyone wants an expensive in-ground pool. 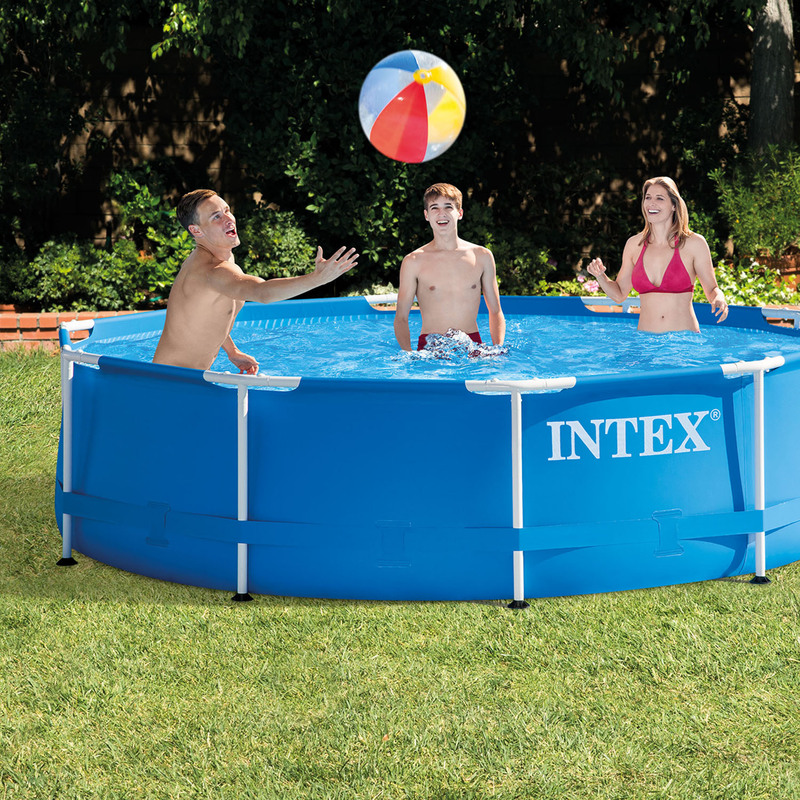 This pool is a less permanent option that can even be stored off-season. And its cool design features four underwater windows so your little swimmers can peek out. Having a place to store all of the inevitable tools, equipment and accessories you need for the upkeep of your yard is important, which is why the right storage space can be life-changing. 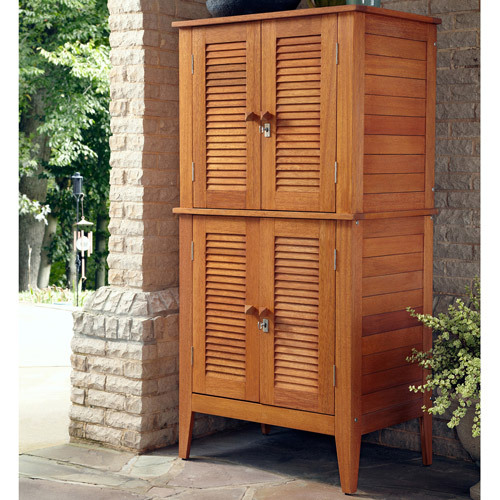 This outdoor cabinet will keep your items stowed away, secure and protected from the elements all year round. Plus, it’s super sturdy and looks fantastic. Keeping your lawn trim is a bit easier when you have a good mower. This 3-in-1 powerhouse mower also mulches, bags and side discharges. Customers love it for its easy maneuverability and seven height adjustments so you can easily customize your lawn’s look. Finally, it folds up for easy storage, taking up less space, and it runs on electricity so you don’t have to fill it with gas or worry about emissions. Keeping your outdoor space clean all season will encourage you to use it for socializing more often. A good pressure washer makes the job quick and painless. 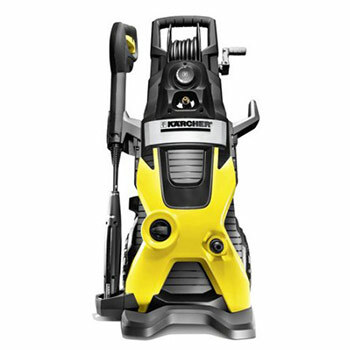 With top reviews and best-seller status, the Karcher is powerful and works great on decks, driveways and all outdoor surfaces. Because it’s lightweight and the spray wand is easy to adjust, an otherwise back-breaking job becomes simple. For extra tough areas, it also comes with a Dirtblaster spray wand. 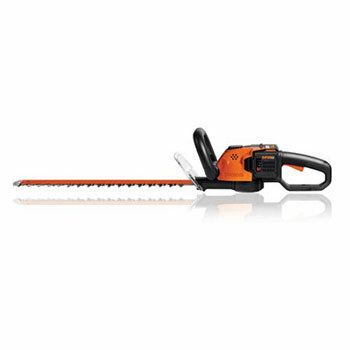 Besides mowing, maintaining your landscaping and lawn requires some other tools, for example, a hedge trimmer. Keep your shrubs and hedges neat with this best-selling tool that is top rated for its ease of use. It’s cordless but has a high-capacity 56V MaxLithium battery, so it doesn’t use gas. That makes this trimmer the perfect combination of portable and powerful. Investing in products that will enhance your patio and garden for spring and summer can help you enjoy a stay-cation every time you step foot into your yard. With lovely furnishings and spaces that promote relaxation and family bonding, to enjoying delicious meals from your grill and smoker, plus having the tools and storage options that make it easy to maintain your yard’s beautiful look, you’ll be all set for spring and beyond. 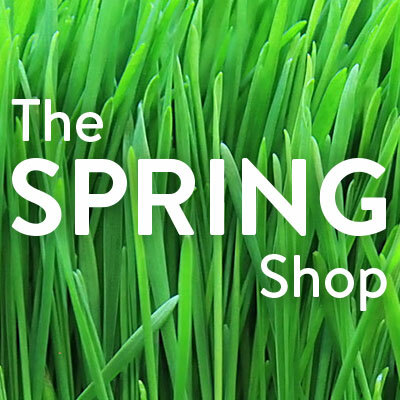 Find everything you need for a season of sunshine—from spring travel & gardening projects to camping gear & festival style.